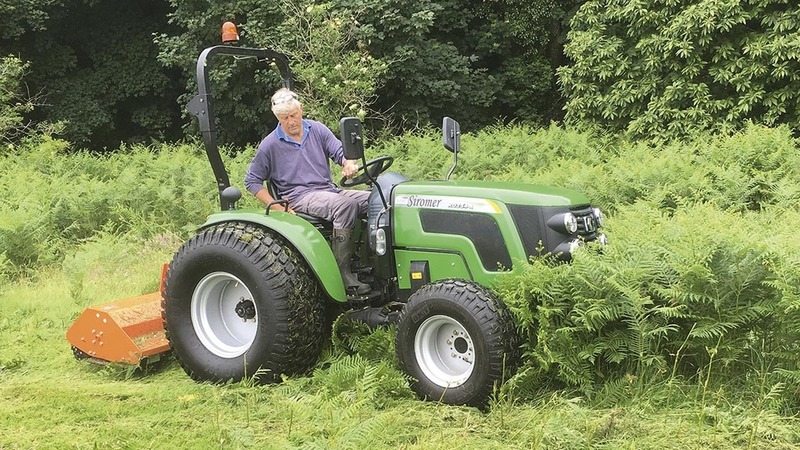 Offering a retail value often similar to the second-hand value of main-stream tractor brands, there is a long list of alternative makes available in the UK. Richard Bradley takes a look at some of the latest models. 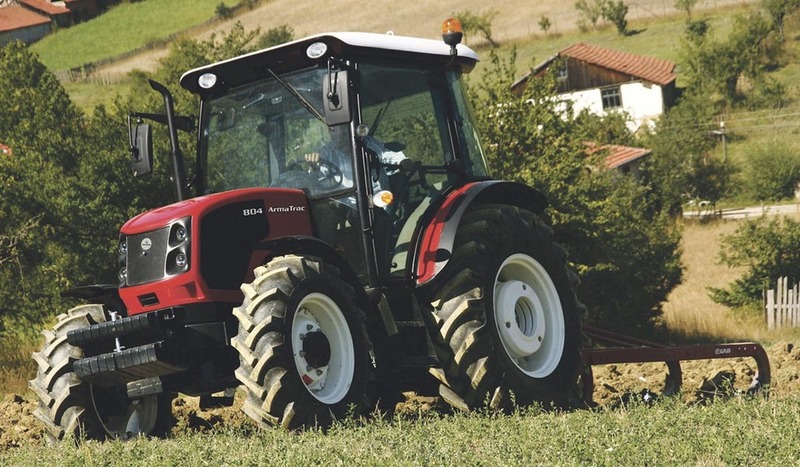 Turkish tractor manufacturer Armatrac recently extended its UK tractor range with the addition of its 804 Lux. Slotting between the firm’s 50hp and 110hp models, the 804 packs 80hp from a four-cylinder Perkins Stage 3B engine, This new model brings with it a more contemporary cab interior with digital climate control. Transmission package comes from ZF and boasts a 40kph top speed with 16 speeds in forward and reverse. The four-wheel drive 804 Lux comes with a 3,200kg rear linkage lift capacity, hydraulic top link, two hydraulic spools and 540/540E pto speeds. The tractor is priced from £24,500. 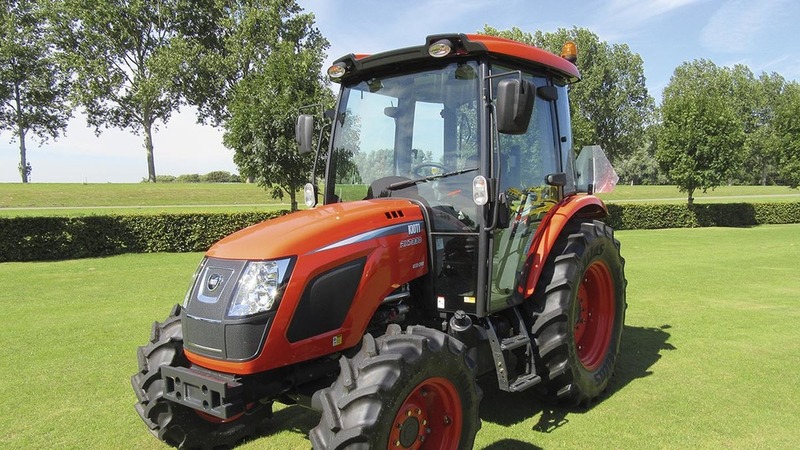 Korean-built Kioti tractors are imported by Pols Zuidland of Holland, which has 60 dealers across the UK. 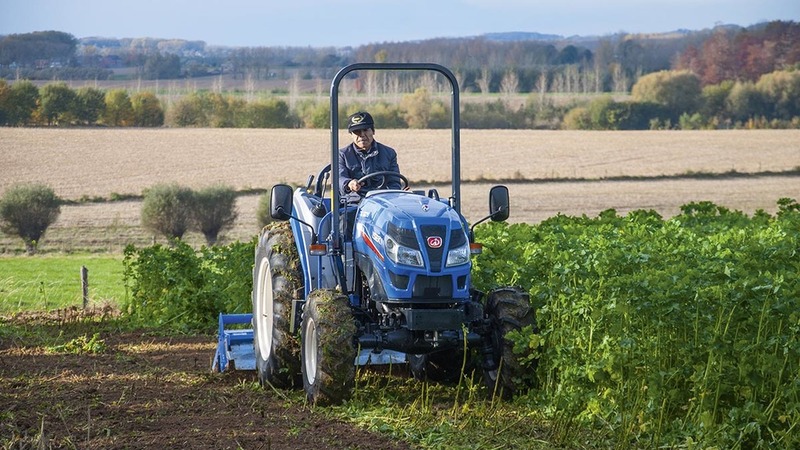 Ideally suited to the smallholder and small-scale farmer, the firm’s RX range offers three models from 59-73hp. At the top of its range the RX7330 uses a Stage 4, four-cylinder engine which produces 73hp. Transmission options include a 12 by 12 speed mechanical shuttle, or a 12 by 12 speed with power shuttle, with the further option of a creeper gearbox. All transmissions come with 38kph top speed. Available with a roll-over frame or fully glazed cab with air conditioning, standard features on the four-wheel drive machine include an engine speed memory, automatic pto disengage when link arms are lifted and one hydraulic spool valve at the rear. Two additional spools are available as an option. Starting price for RX7330 with mechanical shuttle and full cab is £42,500. Already well established in North America and Western Europe, South Korean-built Branson tractors are imported into the UK by the Compact Tractor Company. While the firm produces a larger 50 Series, it is the 45 Series which is likely to better suit the smallholder as it offers a similar power rating in a smaller, lighter frame. Available with a roll-over frame or a full cab, the 7845 features a 78hp four-cylinder engine and 16 by 16 speed transmission, with a top speed of 40kph. An electro-hydraulic power shuttle looks after direction changes and the engine and transmission are produced in-house. At the rear, the 7845 features a two-speed 540/540E pto and a category two linkage with 1,700kg lift capacity. External linkage controls are also featured. Retail price for the 78hp 7845 model starts at £33,540. Cabbed models cost an additional £5,852. The firm also offers a range of loaders to match its tractors, with the suitably matched BL45 costing £5,489. Greens care equipment supplier Ransomes Jacobsen is importing Japanese-manufactured Iseki tractors into the UK. 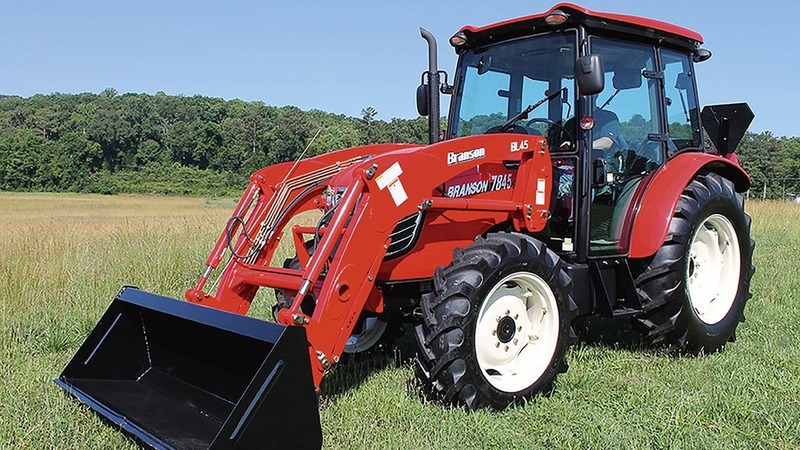 Aimed at the smallholder or as a support machine for the larger farmer, the firm’s TG6675 uses a Stage 3b, 65hp four-cylinder diesel engine. Drive comes through a 12 by 12 speed transmission which features a power shuttle to look after direction changes. At the rear, a category one/two linkage is used, with a lift capacity of 1,600kg at the link-arm ends. Two hydraulic spools and a two-speed 540/540E pto are also fitted. Available with a roll-over frame or full cab, the 6675 also features a joystick and mid-mount valves for an optional loader. Retail price for the 6675 starts from £28,405, with air conditioned cab costing an additional £4,440. 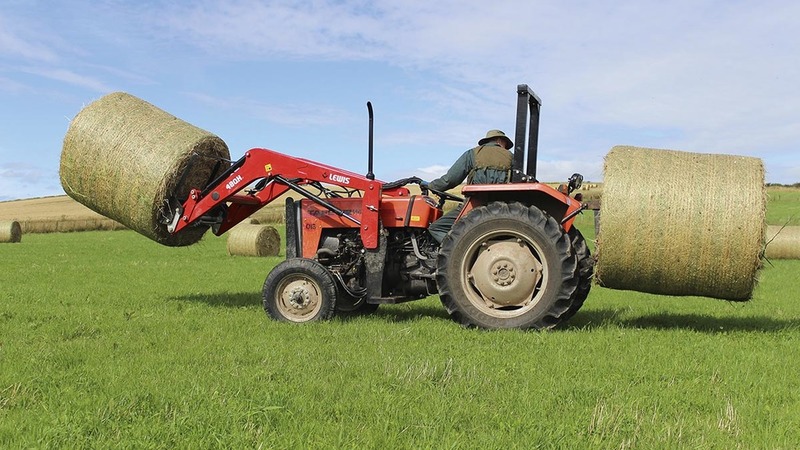 For something a little different, MultiOne’s compact loader range offers a machine ideally suited to the smallholder market. The Italian-built machines are imported into the UK by Ranger Equipment. Ideally suited to powering attachments such as hedge trimmers, mowers, wood chippers, and stump grinders, the firm’s 6 Series pivot steer loader features a 28hp Yanmar diesel engine, hydrostatic drive and a 46 litres per minute auxiliary oil flow. Measuring slightly more than one metre wide, the 6 Series’ full turn tipping load is rated at 780kg, and maximum lift height is 2.92m. If lifting capacity is a big priority to you, the manufacturer offers the larger 7 and 8 Series with more power, greater oil flow and full turn tipping loads of more than 1,000kg, meaning they can handle loaded pallets or a 1,000-litre stillage. Options on the loaders include rear ball hitch, rear hydraulic valves and a full cab with heater. Retail prices for the 6 Series start at £21,754. The higher capacity 7 Series costs £23,677. Indian manufacturer Tafe has been producing tractors in collaboration with Massey Ferguson for more than 55 years, which is why the tractors have a not-so-subtle resemblance to a pre-1990s Fergie. Dorset-based Tractors UK look after bringing the machines into the UK. Powered by a three-cylinder, 47hp diesel engine, Tafe’s 45DI would equate to an MF 260 from the late 80s. The firm offers two- or four-wheel drive models and a turbocharger is available as an option, boosting the 45DI’s engine to 60hp. The blast from the past tractor features old-school gear levers between the knees, offering eight forward and two reverse speeds. At the rear, a 540 speed pto is fitted, as is a category one/two linkage with a lift capacity of 1,450kg. Full cab or roll-over frame models are available, with prices starting from £12,350 for a two-wheel drive 47hp model with roll-over frame. Four-wheel drive models cost an extra £1,400, turbocharging adds £2,000, and a cab currently costs £3,600 on the standard price. Manufactured in China, Siromer tractors offer something a little different as you can have your new tractor delivered flat-packed, for you to assemble. Tractors can also be assembled before delivery. The firm’s largest CH range compromises four models from 25-75hp. Fitted with a three-cylinder 25hp diesel engine, the 254CH features an eight by eight speed transmission with 29kph (18mph) top speed, selectable four-wheel drive, category one rear linkage with 800kg lift capacity, double acting rear spool with 20 litres per minute oil flow, and 540/1,000 speed pto. Siromer also offers a range of loaders which are suitably sized to its tractors. Retail price for the 254CH with roll-over frame is £5,995 plus VAT, with the suitable loader costing an additional £3,300 plus VAT.